BBC Songs of Praise is a compilation of the greatest traditional hymns, the best hymns from today's writers, and the finest examples of contemporary worship songs. It offers to churches and schools the core music required for worship in a wide range of situations. The breadth and diversity of the material ensures the BBC Songs of Praise can be the key resource for any worshipping community. - Publisher "BBC Songs of Praise" is a compilation of the greatest traditional hymns, the best hymns from today's writers, and the finest examples of contemporary worship songs. It offers to churches and schools the core music required for worship in a wide range of situations. The breadth and diversity of the material ensures the "BBC Songs of Praise" can be the key resource for any worshipping community. 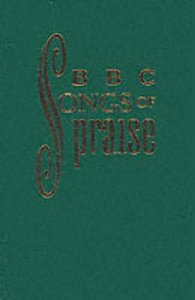 About "Bbc Songs of Praise Words Edition (Music Book)"
"BBC Songs of Praise" is a compilation of the greatest traditional hymns, the best hymns from today's writers, and the finest examples of contemporary worship songs. It offers to churches and schools the core music required for worship in a wide range of situations. The breadth and diversity of the material ensures the "BBC Songs of Praise" can be the key resource for any worshipping community.